Crafty in Crosby: A Great Big Thank You !! There's nothing better, than receiving a package in the mail!!! Especially when it is something you WON!!! A great big THANK YOU to Patty at Our Adventures in Big Ole Texas !!! 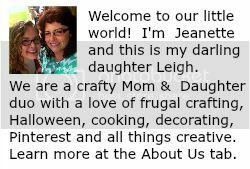 Annie Sloan's "Creating the French Look"
Patty won't know this, but back in March when we were just getting started with our blog, I found hers and asked her a question about ASCP and where to find it. I think it was one of the very first times I ever commented on a blog and dared to ask a question! Wow! And now I've won a copy of an Annie Sloan book from Patty! This really made my day - especially because I've been under the weather for the past week! Thanks Patty! You Rock! Lucky you! The only place I found that sells Anne Sloan Chalk Paint is in Spring. I really want to try it out on a couple of pieces in my daughters room here. I know! I was going to go buy some last weekend but have been sick. Going to try to make it out there this weekend.